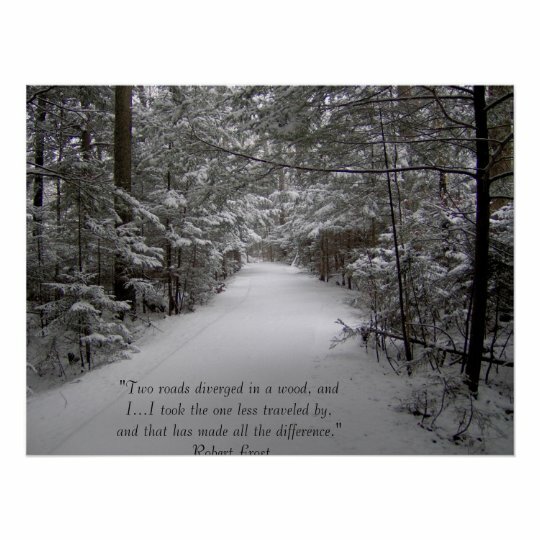 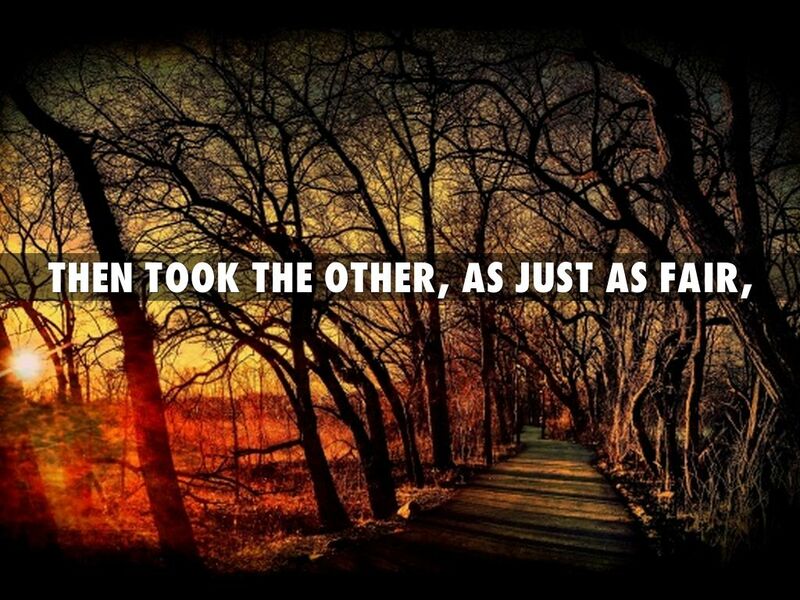 "The Road Not Taken" by Robert Frost. 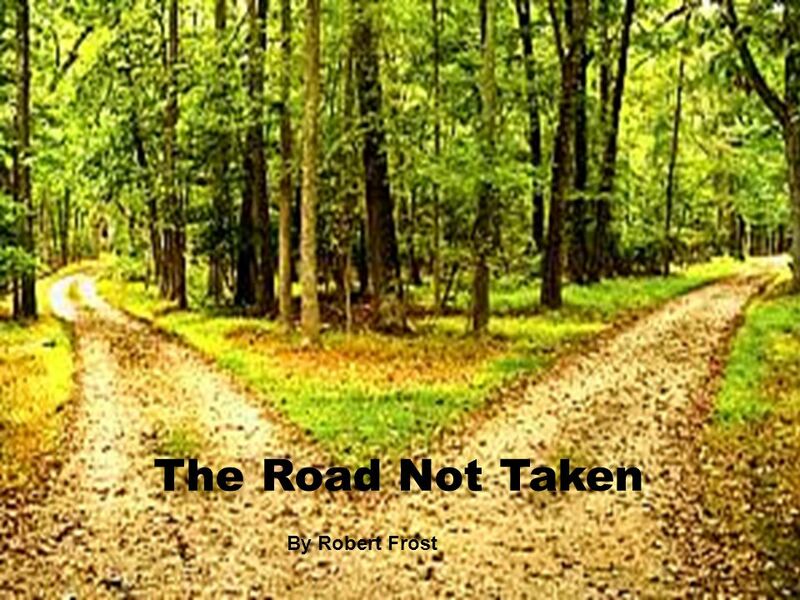 Two roads diverged in a yellow wood, And sorry I could not travel both And be one traveler, long I stood And looked down one as far as I could... Two roads diverged in a yellow wood And sorry I could not travel both And be one traveler, long I stood And looked down one as far as I could To where it bent in the undergrowth. 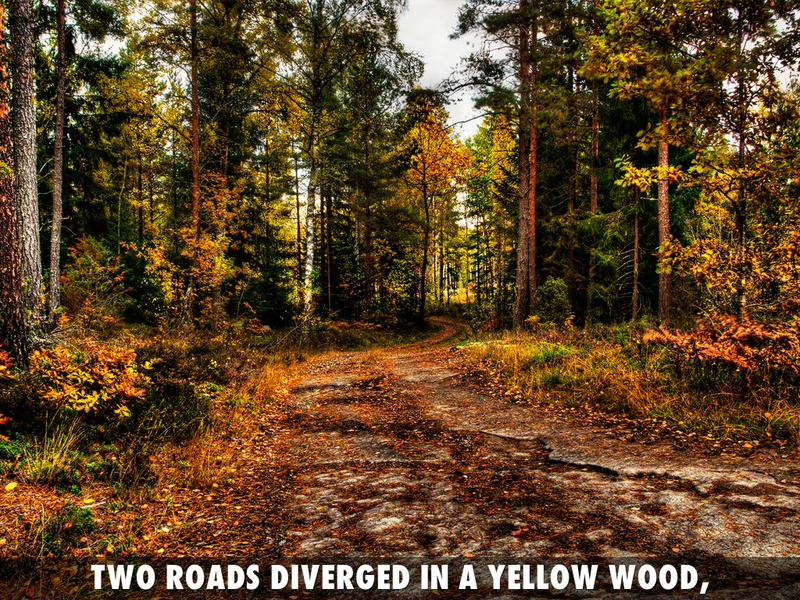 Two roads diverged in a yellow wood, Poems to read as the leaves change and the weather gets colder.